A little while ago, James May (of ‘Top Gear’ and ‘The Grand Tour’ fame) hosted a programme which showed how a modern mini is made at the Cowley car plant in Oxfordshire. The documentary followed the entire process – from sheet metal to finished car. Raw steel going in at one end, a gleaming mini ready for its proud owner at the other. The widespread use of Just-in-Time (JIT) delivery methods. Modern car plants have minimal – almost non-existent – space for warehousing. All pre-made components from satellite sites and third party suppliers have to be delivered at the precise moment of need. This eliminates costly stock piles, but it creates a massive logistical challenge. If vital parts are not continuously delivered, the production line would shudder to a halt inside two hours! These facts made fascinating viewing, but the really clever stuff is the automation that controls and orchestrates the entire production line – humans and robots alike. 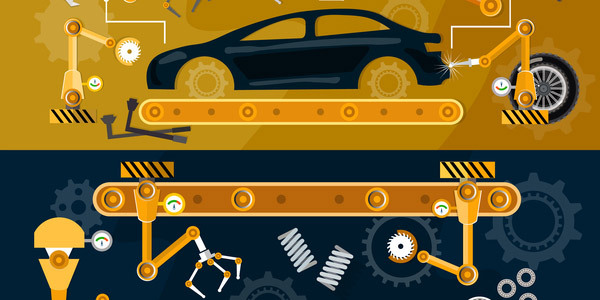 More and more companies are now looking at the use of software-based robots to help them automate many of their processes – but there’s a snag. Many are looking at the micro when they should be focusing on the bigger macro vision. They are pre-occupied with automating small parts of the process (such as a minor name or address change within the system) when they should be concentrating on the total process (such as the onboarding of a new customer). But why is management so small-minded? Business rules are held in a specially structured knowledgebase, or ontology, comprised of semantic triples. A Robo Agent, or inference engine, then routes cases through a network of stages – human or automated – to process the case to completion. The tool dynamically manages the journey for customers and case-workers alike. This allows progress to be made along the journey despite the fact that required data may not have been supplied. It never makes a wrong turning and it never, ever, breaks any rules. How is this possible? Because each route is dynamically created so massive volumes with a myriad permutations can be handled simultaneously. This platform has been continuously developed over a ten-year period. It is now a fully-fledged business knowledge base as well as a robust and scalable end-to-end process automation engine. It is also recognised by analysts as an industry leader and has been adopted by major government departments and numerous enterprise clients. 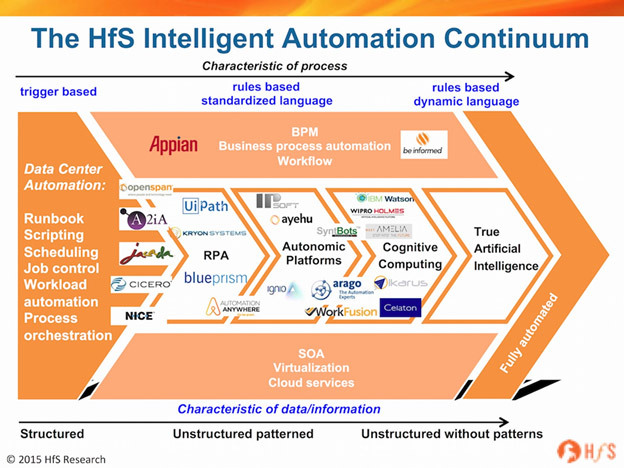 Although created well ahead of its time, this outlier in the traditional BPM category is now widely regarded as the pre-eminent player in the Intelligent RPA domain. So, don’t try to impress me with how many different robots you’ve built with whatever RPA tool you are using (which can run into the hundreds). Instead, tell me you are optimising the whole process from end-to-end by embedding robots alongside your valuable workers… that is the sort of intelligent automation that really impresses me.